We present to your attention an expensive mansion whose value has long exceeded several million dollars. Only very wealthy individuals can afford to purchase such a structure and enjoy not only the walls decorated with expensive wool but also to see a large local area with a lawn and a swimming pool. 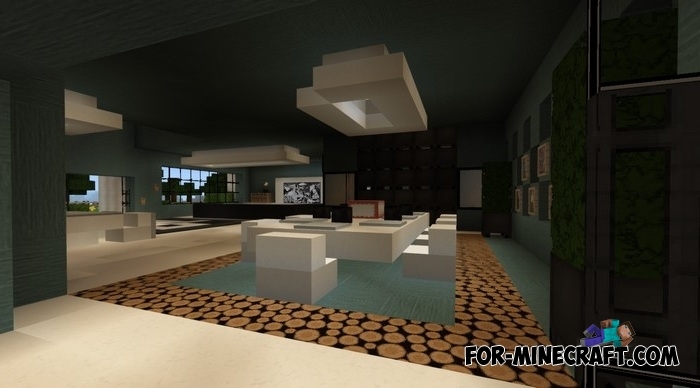 The mansion was built quite recently and combines the latest technologies and luxurious materials. 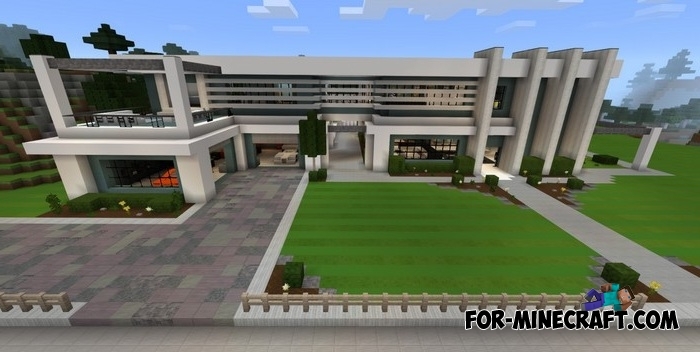 The mansion itself consists of two floors and 7 rooms, outside there is a swimming pool and a place for barbecue. 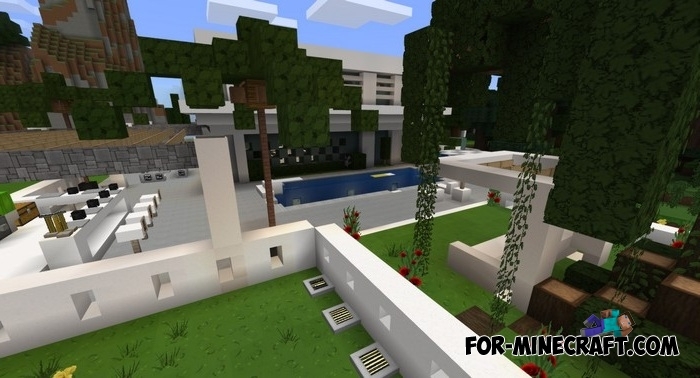 Vanilla textures do not reflect the real beauty of such modern buildings so well, so one of the fans created a wonderful thematic resource pack - ModernHD. ModernHD for Minecraft PE 1.2Here is an example of how can look vanilla objects in a modern style. ModernHD converts the original look of all blocks into what you are used to seeing in your daily life..